I am a doctor, “rejuvenating” corporate executive, entrepreneur, author, and speaker. My wife (Jill), our four-year-old daughter (Joie), our 1-year-old (this week) second daughter (Jae), and our golden retriever (Sunny) live in Tampa Florida and Newport Beach California (we alternate locations every month – so we travel a lot). In 2009, consumers spent an average of $740 on Christmas presents. 13.6 million Americans started 2010 saddled with debt from last holiday season, and those who used credit cards spent more: about $180 more. Studies show that most of the weight gain people experience annually occurs during the six weeks between the last week of November (Thanksgiving in the US) and the last week of December (in other words, during the “holiday season”). More importantly, this weight gain adds up over the years, which is one reason so many people are overweight, or even obese, as they get older. (click here to go back and read the previous edition of the newsletter). For some, I’m sure the discussion about money was either uncomfortable or, perhaps, just not applicable to your life. Maybe some of the money-making strategies presented were just not for you. That's OK. For others, the ideas provided may have started earning money for you by now (if you took action on any the strategies presented). If so, that's great. Money is a very important topic for most people. And, during the holiday season, money can be a source of stress and conflict, since this time of year has become very “expensive” for many of us. So, if money is an important issue for you – especially right now – be sure to consider the thoughts in the October issue of the newsletter on how to supplement your income (or even replace your current income), and also take heed of some of the money-related advice in this holiday happiness issue of The BeHappy! Newsletter (like budgeting, planning, and cutting back). Since "time" is a such big issue for many people during the holidays, I’m going to make this edition of the newsletter very simple and quick to read … and if you want more information and details on specific tips and strategies for making the holiday season more joyful and less stressful, you can click on the links within each of the tips below to get additional information on what might interest you most. Plan ahead: If you go through the holiday season without a plan, you are sure to be more stressed than necessary – and you won’t get everything done (although that's OK). So make a plan … for spending, eating, partying, exercising, resting, and socializing. Download the free Holiday Happiness Planner I have created as a starting point. Fill it out - and stick to it over the next several weeks. It will make a huge difference. Set priorities: One of the hardest things during the holidays is facing the fact that, while it can (and should) be a very special, spiritual time of year – things aren’t always perfect in the real world. Anticipate the usual problems and plan around those. Again, use the Holiday Happiness Planner mentioned in point number one above to guide you. Keep expectations realistic: I know you want everything to be perfect during the holidays. You want to get all the gifts you need to buy far in advance, you want your home to be clean and perfectly decorated, and you want all your gatherings to go smoothly and peacefully. Well, don't count on it (although the "plan" will help). Realize that it's OK if everything is not perfect, and that the important thing is to enhance your family's experience and create great memories of the holiday season - and what it really means. Take care of your body: As stated in the 3rd "Happiness Fact" at the beginning of this newsletter, most of the weight people gain occurs during the holidays (and it builds over the years). Do not sacrifice your health during the holidays. Keep up your exercise routine if you exercise regularly. And if you don't exercise regularly, make sure to add it to your list of "musts" for 2011 (see the "Action" section below for a start to setting your goals for 2011). Have an eating plan – including drink and “sweets”. Have fun, but don't over-do it. Once again, use the Holiday Happiness Planner from point #1 to keep you on track. Give of your time: Some people have decided to reduce their gift-giving and, instead, use the money they would use to buy gifts to donate to the poor. Others just reduce their gift expense and volunteer their time to benefit people in need. This saves money and simultaneously adds to a greater sense of contribution (which adds to more happiness). Get enough rest: With all the demands and activities around the holiday season, you should plan a bit more “down time” than you usually take. So, if you usually get 5 hours of sleep per night, at least twice a week during the next few weeks, get 6 or 7 hours. If you normally need 8 hours of sleep per night, plan a couple of 10 hour nights per week. And, if you normally don’t take naps, try it for a day or two. If you can’t make time for a nap, try just “shutting down” (even at work) for a few minutes every day. Meditation is also a great way to get additional “down time” and will help rejuvenate you - and reduce stress. Communicate with your family: If giving gifts during the holidays has become "stressful" - either because of the expense, the sheer number of gifts you need to buy, or just the "over-materiality" of it all - talk to your family and relatives about trying a different strategy this year. Maybe you can draw names so that everyone just buys one or two really nice gifts (spending maybe $100 in total and taking just a couple of hours at most) rather than buying 20 "lesser", "obligatory" gifts (and spending perhaps $200 - $400, and taking several days to get it all done). Be nice to people: People under stress (which is almost everyone during the holidays) can be cold and abrupt (some are downright mean). Don't fall into this. Be nice to everyone. Worst case, it will make you feel better and more at ease. Even better, it could cause those around you to "lighten up" a bit and be nicer, too. Keep things simple: Things can get "crazy" around the holidays. With the "Holiday Happiness Plan" mentioned before, you should be able to keep things better organized. But don't stop there. Simplify your life by dealing with the priorities you created in point #2 above and eliminate doing anything that is not a very high priority. The holidays will come and go, regardless of what you get done. So, if you don't get the house cleaned to perfection, or you miss a party or two, or you don't get everyone the "perfect" gift, don't worry. Keep things simple and just have fun. Breathe: Use stress-reducing breathing techniques daily to help you feel more relaxed. It's great if you can take ten minutes by yourself to do a breathing meditation, but merely stopping to take a few deep, cleansing breaths can reduce your level of negative stress in a matter of minutes, too. Spend less money than you feel is “right”: Many people feel obligated to spend a certain amount on family, friends, relatives, and business associates during the holidays. As stated in a previous tip, communicate with your family, friends and relatives to reduce that obligation. Maybe you can come up with a creative idea to spend a lot less while still feeling that “giving” feeling. Take the dollars out of gift giving and give of yourself (like your time, mentioned above). From a financial perspective, make a budget and stick to it. Use memories: Most of us have memories about the holidays – both positive and negative ones. Make a list of all the memories you have about the season, and make sure to spend more time focusing on the positive ones. Use the negative ones only as learning experiences – and as a way to be grateful for the good things in your life right now. Take pictures of the happy, joyful, connected experiences you encounter during the holiday season and put them up all over the house for you to see (and remember) daily. A digital picture frame is a great way to do this (and it's a great gift idea, too). Click here to order one now!! We have a couple going at all times and they make us smile many times throughout the day. Be childlike: Children love the holidays for many reasons. Go back to some of the reasons you loved the holidays as a child. Play and be spontaneous. Let go of some of your "rules" and just enjoy yourself. "Dance like nobody is watching". Take time alone: Being alone and being lonely are quite different. Being alone at times during the holidays can help you reflect and rejuvenate from all the hustle and bustle. Schedule some time to yourself - and for yourself. Take a walk alone if you can. Go somewhere for an hour and watch the sunset (or sunrise). Make a holiday gratitude list: You make lists of gifts to buy, parties to attend, and things to do, so why don’t you make a list of things you are thankful for in your life right now. Put it up on your refrigerator and anywhere else you’ll see it frequently. There are always things for which you can be grateful (even if it doesn't always seem so). Check out the last tip on this list to take this a step further. Shop online: Studies show that the average person goes to the mall 5 times during the holiday season to shop for gifts. The stores, the crowds, and the time spend getting there are all extra sources of stress. Online shopping is becoming more and more popular – with almost 30 Billion dollars spent last year during the holidays. Shop online for as much as possible. It’s quick, easy, and many times, less expensive (you’ll even save money on gas). Click here to choose from a variety of “happiness gifts” to buy online. Do the Three Great Things Exercise: Every day during the holiday season, at the end of the day, make a list of at least 3 great things that happened during the day - or 3 things you are grateful for. This is not only great to do over the holidays, but throughout the year. Make it a habit, and I promise, you will be happier. Now, please read on and continue with the "Actions" described below to help you have your happiest holiday season ever. The action plan for the next 60 days basically involves doing many of the things described above to make your holiday season less stressful and more fulfilling. Create your “Holiday Plan” right now (if you haven't already). Just click here to get the template that will help you create the plan. Use the plan to manage your time, your health, and your activities for the season. Make a list of your accomplishments for 2010 and then start developing a list of goals for the year ahead. What must you accomplish in the next year? Notice I didn’t say, “what do you want to accomplish”? What must you accomplish? Take an hour right now to get started. Then take the next 2 weeks to implement your holiday plan and the next 60 days to establish your goals for 2011 – and begin taking action toward achieving them. 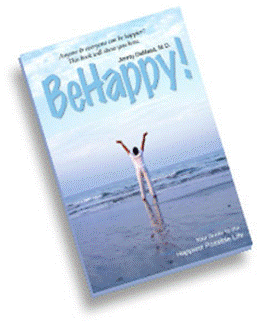 We’ll look back on this 60-day action plan in the next edition of The BeHappy! Newsletter at the beginning of February - where we'll be well into 2011 and will take the next step toward making the year the best ever.